So you can’t configure your search. In PowerShell, all search components are listed as available. Application Server Administration job failed for service instance Microsoft.Office.Server.Search.Administration.SearchServiceInstance (cf15c8c7-1980-4391-bd97-17de75c4dd5d). System.InvalidOperationException: Failed to connect to system manager. 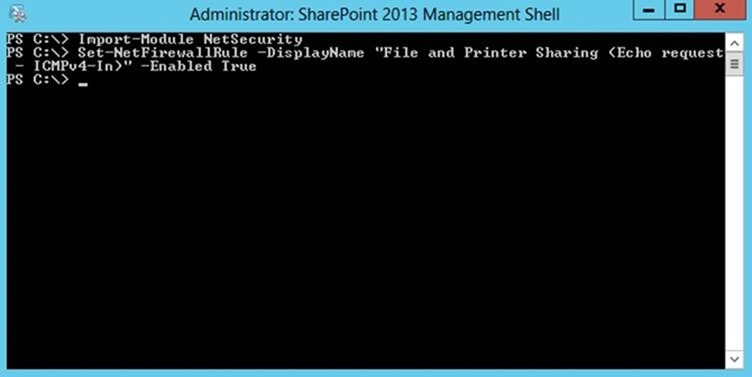 SystemManagerLocations: http://sp2013/AdminComponent1/Management—&gt; System.ServiceModel.EndpointNotFoundException: There was no endpoint listening at http://sp2013/AdminComponent1/Management/NodeController that could accept the message. This is often caused by an incorrect address or SOAP action. See InnerException, if present, for more details. Give the server a good old reboot and things should work fine. That’ll save you a few days of trouble.